1. We need a much more unified climate movement. All the different groups campaigning for climate action must find a way to come together and formulate a few dead-simple unifying principles which everyone can agree on and commit to – a unifying manifesto or declaration which as many as possible can subscribe to. 2. We also need to establish an ‘open source’ Internet-platform – a software tool with no central owner, or with the United Nations as the owner – a place in cyberspace which enables increased connectivity, collaboration, coordination and education. Considering the impacts of the climate emergency, how come the ‘.climate’ top-domain hasn’t been launched long ago? The world is badly in need of a ‘killer app’ for solving humanity’s problems with seemingly unstoppable CO2-emissions and an approaching climate catastrophe – a climatepocalypse – which we are told by science is threatening to destroy our entire civilisation, and to kill millions, if not billions, of human beings on this planet within the lifetime of our own children. We have wasted a lot of time, which means we are now in an extreme hurry, and we have a huge task ahead of us. Or… is it actually that huge? Fixing the problem with climate change – our greenhouse gas emissions – would (only) cost us around one percent of GNP, researchers have estimated, that is if we do it quickly. Whereas not fixing it has now been estimated to be costing us four percent of GNP, and rising. Simple maths, seen from a citizens’ perspective: Our communities are paying a heavy cost for the short-sighted benefits that fossil fuel companies and their allies in parliaments and media partners currently ripe from keeping the wheels of society stuck in dirty fossil fuel consumption. So far, the attempts to get the transition to 100 renewable energy started at a ‘World War II-mobilisation’ level have failed. The fossil fuel industry does not seem to want to let go of its polluting business model without a fight. No one has managed to create a dynamic, interactive, multi-language online tool which creates clarity over the vast landscape of climate efforts, enabling the world’s climate solution builders as well as the general public to see “the bigger picture” on a global as well as very local scale — to benchmark results and whenever relevant to communicate internally between experts, leaders and volunteers, and to co-ordinate individual efforts strategically as team players rather than as competitors, to create visibility and transparency, and above all, to create knowledge-sharing about all the good initiatives which are developed around the world, but fall “under the radar” of mainstream media. You would think that it would be just as much in the interest of the big players on the Internet such as Google, Facebook and Twitter to save humanity from runaway global warming – and all the misery and dying that follows from that – as it is for the rest of us. Google and Facebook are investing in renewable energy, but when it comes to developing a new software platform, they go silent. (We have contacted them via e-mail, and got no reply – and apart from Google’s great investment in renewables, and their award to innovative young people, they don’t seem to be interested in doing anything on the software-developing side). Consequently, what we need to start from bottom up and show what’s possible. To a large extent it is not that hard to develop an open source system ourselves is a global “team-building tool” for this world’s climate solution builders – a system which can make everyone in the business of saving ourselves from ‘climatopocalypse’ work more efficiently and maximize the many good efforts and forces currently working hard, but isolated, in the field. At the moment the climate change campaigner community suffers from a serious problem: there is an overflow of information on the Internet about climate change. Thousands and thousands of people are spending all their time and energy on doing the exact same things. For instance, around the planet, thousands and thousands of concerned individuals are spending hours of unpaid time to update their blogs and climate-websites, post news on Facebook-pages, Pinterest-pages, Scoop.it-pages, Rebelmouse-pages, Paper.li-pages, tweeting and scribling along. But they are each talking in isolated ‘echo-chambers’. Instead of having so many people doing more or less the same kind of ‘information work’, all that energy and time put in this could be used in much more efficient ways, considering that the goal of most of these climate activists and ‘clicktivists’ is to change their societies around them by making them become more aware of the issues with and the solutions to the carbon emissions and the climate crisis. The day we succeed in building a global “Climate Campaigning Meta-Tool”, we will realise that we already have enough skilled and intelligent people on this planet who know how we can transform the fossil fuel driven world, little by little, step by step, into one that runs 100 per cent on renewable energy — sun, wind, waves, water dams. A group of scientists have found that when just 10 per cent of a population are deeply committed to an idea, the idea will always be adapted by the majority of the society. Below 10 percent, there is no visible activity. Above 10 per cent, the idea spreads like wildfire. It is not an unrealistic goal to set out to get 10 per cent of the population engaged and active with this. To get started, we make a call out to all web developers in the world to help us construct the ultimate Climate Crisis Connectivity App – and we suggest to do it in an open source platform such as WordPress, BuddyPress and bbForum because this is open source software, ideal for sharing. If you are experienced with WordPress and BuddyPress and would like to join a project as we are describing here, (currently on a volunteer basis, but it shouldn’t be too hard to get organisations who see the need for this to chip in with enough funds to make it into a professional enterprise) then drop us an e-mail where you describe who you are, what you can do, and why you would like to contribute. Once we have an online tool up and running, we need to start contacting the world’s many thousand climate campaign leaders and get them on board. Or rather, we should talk about “getting them on board”, but rather that they need to talk together with one another and become better at co-ordinating their efforts and sharing information, and we invite them to join a project which will enable them to do just that. They could of course do something like that by simply sending an e-mail to each other now and again, or making a phone- or skype-call to one another, or by setting up a closed Facebook-page for the purpose, but for a number of reasons this is not happening at any serious or systematic level, neither across the national borders or within nations. Some excellent and very important efforts are being made to highlight the world’s most innovative sustainability projects, new technological progress, ideas and inventions, scientific research, etc, such as UNEP’s Global Sustainable Consumption and Production Clearinghouse, EU’s ‘A World You Like’, the Danish Sustania, the International Green Awards, and many others, but even these initiatives highlighting the same kind of success stories in the field of sustainability are not co-ordinated, referring or linking to one another. When David Suzuki in Canada publishes a great speech on youtube, it would seem strange why other international climate campaigning organisations – such as 350.org, Climate Reality and other campaigners aren’t backing it up and promoting it. 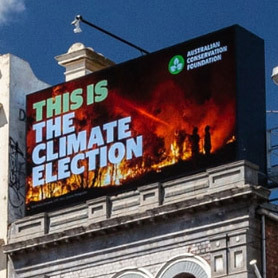 When the Australian Beyond Zero Emissions have published a great report, which they have done a number of times, then why aren’t all climate campaigning organisations around the world helping spreading its message. For instance, the message that Beyond Zero Emissions’ research shows that it will not be more expensive to change over to 100 percent renewables than it will cost to continue with the ‘bussiness-as-usual’-regime of the fossil fuels. The climate change battle is the most urgent and crucial of all the environmental battles which are lining up and calling for attention on this planet. But it is only one battle. In any battle, one division-leader must know what another division is doing, and do their best to create full clarity and simplicity for the ‘soldiers’ on the ground who want to know what to do next. As of now, it is not like that. Since 2009, the world has been seeing campaign after campaign after campaign on climate change, some dying out, others starting up, and currently there is a fertile jungle of organisations and websites, growing and growing, dedicated to the important cause of combatting carbon emissions. It is really a quite complex picture. Some are environmental groups. Others are political groups. Some are specifically targeting coal production. 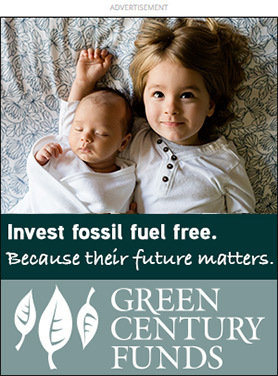 Some say that divestment is the solution. Others are trying to blockade hydraulic fracturing and gas mining, and only that. Others again are into promoting solar energy. Whereas wind power is promoted by other groups. Attempts to create truly global climate movements are running. The American organisation 350.org, for instance, is a successful one of them at the moment, running two strong campaigns. And we have ‘Earth Day’, and ‘Earth Hour’, and so on. But we don’t see any of them really ‘catching the drift’ – and they have not yet created a new, global ‘Climate-Gandhi’, Luther King or Mandela of our time. Some would say that Al Gore or Bill McKibben are close to getting there. But again, they each campaign for different things, and they have separate agendas. Everyone works on each their own goals, strategies and proposed solutions. Which on one hand is fantastic to witness. On the other hand, it is obvious, that if we want to actually win this battle against the richest and most powerful industry on the planet, considering the time constraint among the climate campaigners, there is a need for much much better co-ordination of the many efforts. The myriad of different campaigns, strategies and opinions make the climate change problem and the necessary transition from fossil fuels to renewables seem very complicated. But really, it isn’t. It boils down to understanding that the sky on this planet is no longer open for pollution. The issue can be explained in one single sentence. And the solution is just as simple: Stop using the atmosphere as if it was an open sewer. What the world badly needs is for good people and forward thinkers like Bill McKibben, Rob Hopkins, Al Gore, front-runner organisations like Sustainia, Ceres, Greenpeace, Carbon War Room, The Climate Institute, The Energy Collective, Beyond Zero Emissions, 10:10, large membership organisations and campaigns like Earth Day, the Global Campaign for Climate Action, the Stop Climate Chaos Coalition, Friends of the Earth, WWF, the Youth Climate Coalitions in the United Kingdom, Canada and Australia, as well as the thousands of other hard-working, constructive campaigners, writers, thinkers, sustainability experts, activists organisations and groups to come somewhat closer together to one another in one, co-ordinated, global, non-political, non-governmental alliance/network which can raise not just a stronger voice because of bigger numbers but more importantly, transmit a sense of clarity and transparency in terms of directions: who is doing what and heading where, and why. When we are able to highlight and showcase all this activity which is already taking place to the world, many would be impressed by the level in itself. What we need next is that kind of impact: if you are thinking about getting active in this field, know that you are not alone. You are not the only one thinking like that. Not any more. First of all, begin to talk together! Create internal channels of communication, and then – via our new ‘meta-tool’ – we will be able to begin to provide the public with, for instance, your ‘Top 10 Climate Safety Visions’, your ‘Top 10 Climate Actions We All Must Do’, ‘Top 10 Political Actions All Governments Would Benefit From Doing’, provide us with links to the best and most efficient tools and apps that we should all know about, and in this way begin to create clarity, while narrowing down the routes we can take. Split the jobs out between you, try and avoid overlapping. Work on differentiated target groups, different areas, different industries, and so on. Ensure that no group is falling between the chairs. Once you have cleared this up, link up to each other on your websites. All of you work on slightly different sub-targets, each have different methods, different levels of ambitions, different access to funding, media and people in power – but you all share the same vision: a civilisation which runs on renewable energy and which leaves those fossil fuels in the ground. To do that, we offer you this tool. You do not need to start flying around, burning tonnes of carbon for yet another series of COP-like summits. You can do this at a much more practical level from your computers at home. We need to get you all started on mapping the bigger picture for how you supplement each other, who does what, and how you have a range of solutions you can offer to the world in one, simple package. But… of course, it will require to a certain extent that you give up only promoting your own ideas and that organisation of yours which you have put so much energy and time into building up and finding funding for, and – at least for a period – focus on how that stronghold of yours can fit into the bigger picture — and all the others will have to do the same. 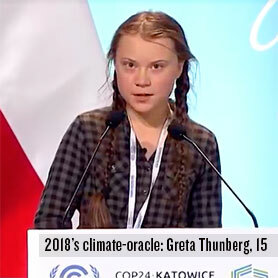 A global alliance of more than 270 non-profit organisations all over the world was already set up long ago: the Global Campaign for Climate Action. But is this campaign succeeding in making everyone talk together? If not, then this is why we need something new. Maybe any structure or body that starts up with an aim to create a global platform is bound to end up as just yet another organisation name in the myriad of organisation names? The many failed attempts to bring everyone closer together show us that what is needed is not a coalition or an alliance with an organised structure, but rather a network assisted by some good software. A plain Linkedin or Facebook group for climate campaign leaders could of course be a start, but we believe we should be able to do better than that. We should aim at requiring a toplevel domain-name ending on .climate which campaigners would only be able to register their website on when signing a contract and committing themselves and their organisation to a higher, common cause — plus that this commitment then would give you access to a database with the mail adresses and phone numbers of all the other climate campaign leaders on .climate. Humanity’s biggest problem with fighting climate change is human beings’ probably very natural tendency to want to be in charge of one’s own projects and visions. Our inability to work together becomes painfully obvious when you look at the uncoordinated and competitive way thousands of climate campaigners around the world work for the same cause by each building their own climate solution campaign – some more successful than others, but very few of them containing “the full picture”. It really shouldn’t be too hard to do better than this! And this will be necessary if we want to win the battle against time and threatening tipping points. We need to quickly invent a tool which can enable us to overcome these fundamental human obstacles to stopping the pollution of the atmosphere. We need clarity, simplicity, straight-forward communication, co-ordinated ownership, new channels for knowledge-sharing and awareness building. To solve the climate crisis we need to shift from using fossil fuels to renewables. We need to stop polluting the atmosphere with carbon emissions. Now, if there was great public pressure for shifting to renewables, then we would see politicians be busy now with shifting their societies to renewables. But that pressure isn’t there. On the contrary, there are people profiting hugely from keeping the fossil fuel wheels running, and they do what they can to delay the transition, creating confusion and doubt about the realities of climate change. So the transition is not happening in the pace that it needs to, according to the scientists who are looking at the constantly rising measurements of the global CO2-levels in the atmosphere, at the disappearing ice on the north and south poles, at the increasing frequency of extreme weather events, and all the other signs that climate change is not something which will come in a distant future, it is already here. If we want to have any hope to be able to solve the climate crisis, there is no way around it: we need to build public pressure. We need to start from the ground and on an individual citizen-level. We could of course just sit back and wait until the climate goes really crazy and then it surely will come by itself. But by then it will also be too late to put a brake on the runaway climate-avalanche. So we need public pressure very very quickly – before it all begins to happen. How do we cultivate public pressure? Well, the good news is: we don’t even need to cultivate this. It is already here. But it is living in the shadow, it is scattered and disconnected. Lot’s of social movements and campaigns are pushing for change, and on a small scale they are all involved with creating public pressure. So what is needed is not yet another campaign. What is needed is that tool that connects the global movements of people and make their numbers visible in one place. 10 percent of the world’s population might not sound of much. But when you begin to count, it is a massive amount of energy and possibilities from the participation of 700 million individuals. If we can count on what scientist have found – that 10 percent is actually all we need in order to make a new energy reform ball rolling – then being a member of such a 700-million-people movement suddenly doesn’t sound all that bad. How to build such a global ‘movement of the movements’? There is only one way: by uniting the efforts, resources, manpower and skills of all the many organisations and activists who are already, in each their own way, working on this goal: Climate safety. • Our goal is to create increased collaboration and co-ordination among all people who are concerned with climate change, climate experts and campaigners as well as ordinary citizens, parents, doctors, and so on. So, in other words: this should not only be about ‘inreach’ in the climate movement, but also about ‘outreach’ to people who’d like to get involved. In many countries, a lot of strong local and national networks are in place. All we need is to be able to connect them, be able to show what the advantage of that is, and then get them to work together for that one single goal: a safer climate. Enter our open source (WordPress-BuddyPress) multi-language ‘Climate Safety Meta-Toolbox’ which enables us billions of humans to understand what is happening in the movement for climate safety, and enables a united front of climate leaders to communicate internally in a network where they co-ordinate their efforts and showcase their impact, size and campaign results. The climate campaigners who are already ‘in the business’ will to a large extent continue to do what they are doing now. But thanks to the new ‘meta-framework’ we construct for them, the work they delivers greater impact, because it is seen in context with the efforts of all the other climate campaigners in the country and/or on the planet. It is crucial that the tool is able to facilitate better organisation in an ‘unorganised’ way that doesn’t take away the freedom of the individual initiatives but rather builds on top of them and creates clarity, synergi, innovation and an experience of empowerment. It could be seen as a ‘Climate-Facebook’ – or a corner of the Internet which doesn’t replace or compete with the existing sites, petitions, campaigns, knowledge-sharing databases and social media channels out there, but which connects and benchmarks them in a simple, user-friendly way. Why should the policy behind the tool be to seek simplicity? Because if our ambition is to get so many different people with very different political views, cultures, languages and experiences to be able to work together, in the name of our planet’s and our grandchildren’s future, it is important that this alliance or coalition around the ‘meta-tool’ narrows its common manifest down to aiming at this one single and simple goal: Those fossil fuels obviously must stay in the ground. So what does that mean? That we must transition to renewable energy sources. The introduction of the ‘Meta-Tool’ or ‘ClimateBook’ must come with a set of goals we all agree on that we want to achieve with this tool. Phase 1 focuses on first of all on the internal organisational work among the climate campaigners. Phase 2 focuses on the communication and awareness-work in and between the general public, the populations of the world. What is needed here is first of all: new narratives. All investment in and subsidies to fossil fuel projects must end immediately. Massive ‘Marchall-plan-like’ public subsidies and private investments must be directed to developing, producing and enhancing renewables as well as energy saving technologies. Guides and toolboxes showing how to do it best must be promoted and distributed far and wide. But really, what this list should look like is not something we need to decide right away. We’d do best letting the climate campaign leaders themselves discuss this and see if they can reach a consensus or an agreement on it. The carbon tax tool is often mentioned by Americans such as Al Gore and James Hansen, and in many ways they are right: Putting a price on carbon pollution needs to be taken to a whole new level now, and there is no time to wait for some UN resolution to be agreed upon by 140 nations. EU’s carbon-price system is cripled – Australia is scrapping theirs. We need a system which is charging the polluters, but as it has turned out, it doesn’t look like that carbon tax in itself will become that ‘killer app’ that enables us to combat climate change. Creating a climate campaign network/tool that actually works, however, could enable us to deal with the problem, because climate campaign leaders would begin to co-operate and share rather than compete and all do the same things. It could open up a new era where increasing numbers of companies and industries of all kinds begin to see the need to commit to this same single goal, or ‘manifest’, and to openly advertise their commitment to this among their consumers and customers. It could help create a sitution where those manufacturers and companies who don’t commit to the goal will be identified in the increasingly more powerful ‘buycott’ app (or apps), and simply will so unpopular that they can’t continue their business. The meta-tool should highlight the committed renewables-frontrunners that we need to support as consumers in our dailyday shopping. The organisation Ceres has already started that process in the US, and The B Team has launched similar efforts on a global scale. The ‘Meta-Tool’ could also help with combining their efforts in the world of business. Most important is that the members of the new climate campaign alliance/network must be able to create clarity on the overall demands very fast. Don’t start talking about including other important issues which humanity is also confronted with at the moment, such as fair trade, ending poverty, slashing the ‘growth’-paradigme, or saving the whales, environmental concerns about dying frogs, and so on – not because they are not all valid causes, but simply because then the discussions will never finish. Yes, we need to deal with all those issues as well, but not all at once. The minute we begin to complicate the picture, we loose people. We disagree. And then we are back to square one. One of the difficulties with dealing with climate change is that it all can seem complicated and big. Which makes it seem hopeless. Too big an issue to even begin to think about. As individuals we feel powerless. So we close our ears and continue doing all those things that the fossil fuel industry is thriving and profiting from. When it comes to that debate about how to keep the large amounts of money-making coal, oil and gas in the ground is not so different from the debate about the problems with prostitution, human trafficing, drugs, cigarette-smoking, etc, where it all boils down to that as long as there is a demand for it, banning it and prosecuting the pimps, drug dealers or kiosks that sell cigarettes doesn’t help. The problems will persist as long as there are people who are willing to pay for it. Whenever we point one finger at the oil industry, there are three fingers pointing at ourselves. The reason why the coal, oil and gas companies are so powerful and rich is because we are ready to pay for their services, and we are made to believe that there isn’t any alternatives. We need a new lamp to be turned on and to point it at those kind of green energy-production and sustainability solutions that will enable us to stop buying those fossil fuels, and eventually lead to the shutting down of those coal and gas mines, not by force or by law but simply because we don’t need them and we don’t like them. The real “boss” of the fossil fuel industry is, and will always be, the customer. Which also means that we must remember that the most important battle of our time takes place not in any parliament hall, but very very close to ourselves. And the ‘carbon emissions battle’ will be lost in a few years time unless we begin to focus less on fighting the old and more on guiding people in how to build the new – the concrete fossil fuel free energy generation on an individual or a community-based level. As soon as politicians see from sales figures and trades reports that their voters are acting seriously on climate change themselves at the local level, they will understand the need to change their policies themselves. The Transition groups have some good answers to how to go about this. There are hundreds of things to get started with. 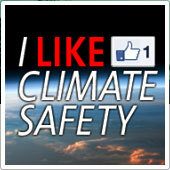 The list of tips, ideas and links should be integrated in the ‘ClimateBook’-tool. Sustainia100 is an annual guide to 100 innovative solutions from around the world that presents tangible projects, initiatives, and technologies at the forefront of sustainable transformation. They provide an example of the kind of constructive innovation and shift of thinking we need. This should be highlighted with the help of the tool. We don’t need to convince half the world about all this before we get started. We just need to be a little group of volunteers from around the globe who believe in this idea. • Independent and skilled programmers who are experienced with and good at building up sites similar to NationBuilder.com, Scoop.it, Paper.li, GetPrismatic.com, Climate Colab, and so on. • Independent sustainability bloggers. We actually have started a little network of bloggers from around the planet, called Bloggers for Climate Safety, and as we speak, we are discussing these kind of ideas already. In that period we could of course try if crowdfunding could work, but it is most likely that funding will be lacking in the beginning. Only if a philantropic person, or a fund, or a network of the bigger climate organisations, would step in at a point, only then would we be able to start paying people for their work. This is project that doesn’t have a ‘must-have’ budget before we can start. It only has a ‘nice-to-have’ budget. There is no minimum, and there is no maximum. The more funds and individuals that support it, the better we can make it. If we make it good enough, so people can see that this is making a real difference to them, then there will be loads of people and funds out there who will want to give a helping hand. What we are working with here is so urgent to humanity’s survival, and the world is so hungry for something that is efficient and creates co-ordination in this field among the hundreds of thousands of activists and organisers, sustainability experts, journalists, bloggers and scientists, that there will be no problem with funding it once we have reached ‘cruising altitude’ and the the critical mass in terms of members. Where will the network be based? Since the software-part is initially an online project, everyone can contribute from their own computer, regardless where on the planet they are based. We can take action and fix the emissions-problem as individuals, locally, when we know that we are part of a strong global climate movement. To start it up, we need to act very very fast. We should have a project description finished within a month. Then the fundraising part would take six months, and the project could begin to take off around November 2013, if we are optimistic. Everything must be speeded up because we are in a really bad hurry. There are a good number of CoLab.org project proposals which would definitely be relevant to include. If you have a suggestion, let us know. Here is a video which in its own way provides the answer to how the climate and CO2 problem are to be addressed.